Not to be outdone by Anthony Mantha, Danny DeKeyser has also injured his hand. The Red Wings’ defenseman and Michigan native will be out an estimated four-to-six weeks, Jeff Blashill announced today, following an injury DeKeyser sustained Tuesday night against Tampa Bay. No official word yet on who will be called up from Grand Rapids; the Griffins play tonight. Detroit’s next game is Thursday night in Toronto. It’s the latest notable injury for the Red Wings, who have had many this season. Mantha is currently out due to a hand injury from his fight with Colorado’s Patrik Nemeth Sunday evening, while Darren Helm hasn’t suited up since Nov. 17 due to a shoulder injury. Trevor Daley hasn’t played since a lower-body injury he received on Nov. 28. On the blue line, DeKeyser, Daley, Mike Green and Jonathan Ericsson have all already missed substantial time due to health constraints. 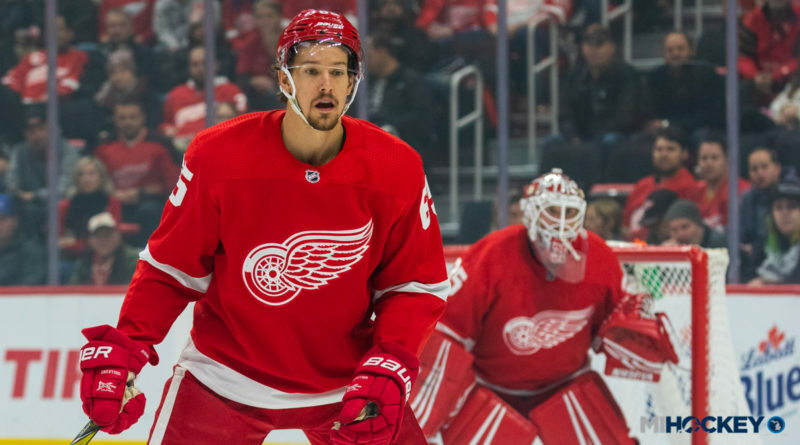 DeKeyser had just played in his 400th career NHL game on Sunday. In the 2018-19 campaign, the Western Michigan Broncos alum has seven points and a +4 rating in 20 contests.